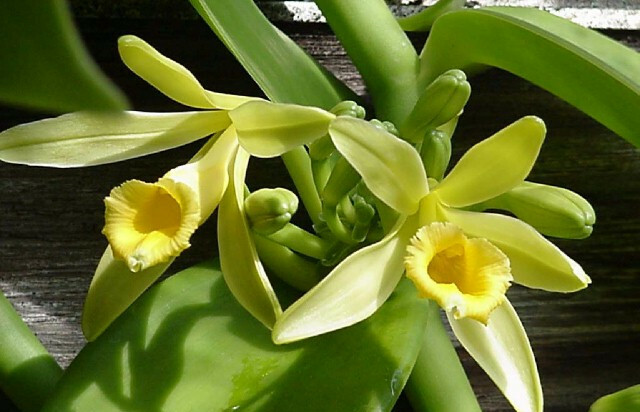 Description: Vanilla pompona is considered one of the 'minor' sources of commercial vanilla flavoring. 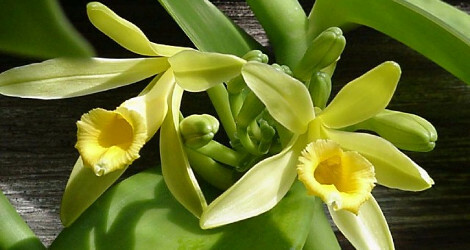 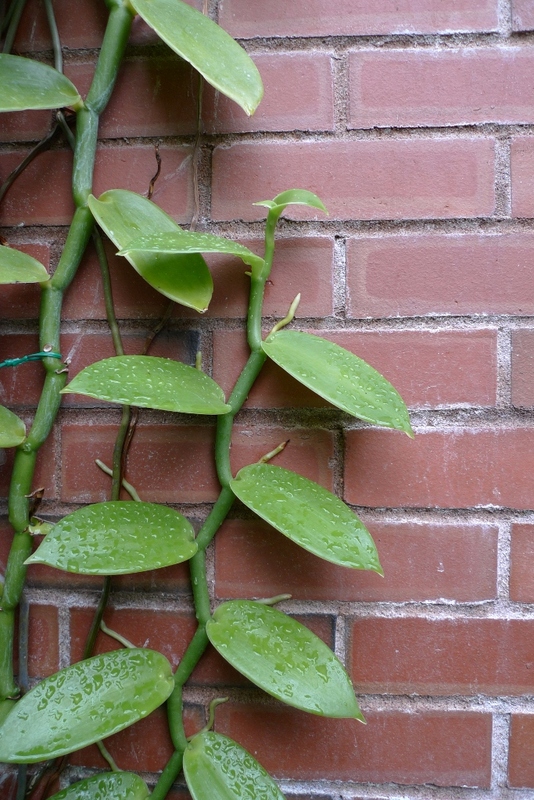 Vanilla planifolia is a primary source, but Vanilla pompona flowers more readily in cultivation. 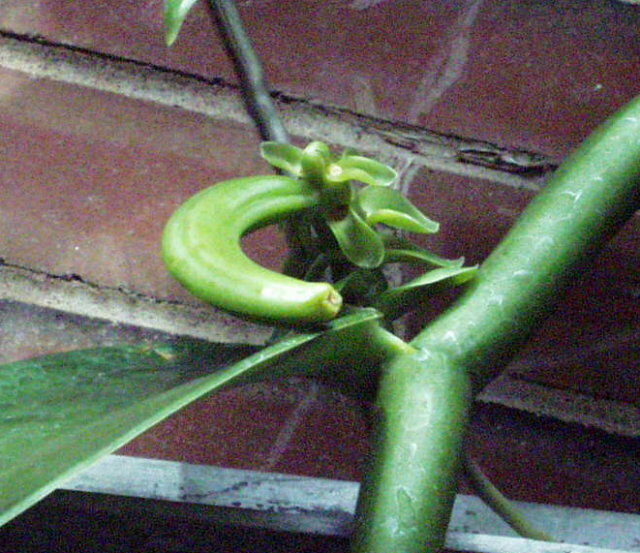 Based upon flower/fruit, it was determined not to be V. planifolia as originally labelled, but most likely V. pompona - shorter, curved fruit. 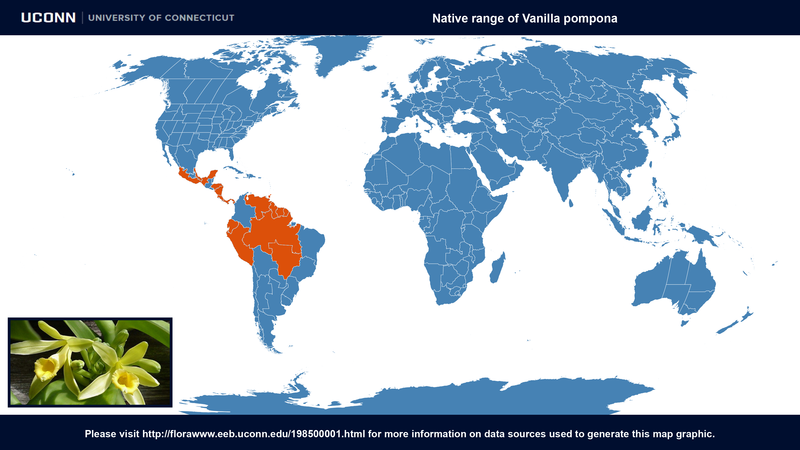 Vanilla pompona at Orchids Wiki. 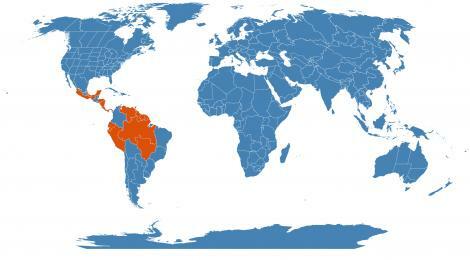 Accessed 3 June 2015.